An exciting Council meeting last Saturday with lots of forward planning. First up: plans to celebrate our 40th birthday next year with a day of free lectures + a round-table on where we’ve been, where we are going, and current projects. We will also shoe-horn the AGM in there somewhere. Saturday 21 September 2019, at the St Alban’s Centre, Holborn. More details will be on this site when arrangements have firmed up. Then we are already planning the 2020 Symposium. This will be a joint event with the Monumental Brass Society. It will be held on 25-27 September 2020 in King’s Lynn, based at the Duke’s Head Hotel. This is a very luxurious venue: if you want cheaper accommodation, there is plenty in the area. We will have a keynote lecture and gala dinner on the Friday night. 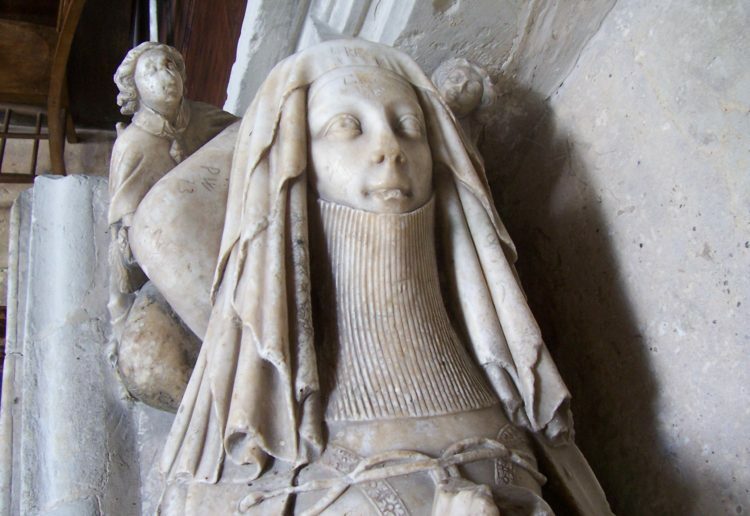 On Saturday there will be an all-day coach tour round some of the glorious East Anglian churches, followed by a day of lectures on the Sunday, on the theme of East Anglian monuments. Again,more details here when available. There are more events in prospect: keep checking the Events page of the web site. Entries are coming in for the Essay competition. Details are at https://churchmonumentssociety.org/get-involved/competitions/essay-competition . The closing date is 31 December – so if you are thinking of submitting an entry, you need to get writing. The subject is any funerary monument inside a church or located in a churchyard or a consecrated burial ground (eg Bunhill Fields), commemorating a person or persons. War memorials or subjects from cemeteries, whether private or municipal, are not eligible. Either an accurate representation or an artistic representation will be acceptable, but there should be no Photoshopping EXCEPT level and colour balance, and local contrast adjustments plus minor tweaking. Any effects are to be done in-camera. Please include your name, age group, & subject of photograph, in a separate file. We are still collecting ideas for forthcoming events. Our coach-driven church tours are always popular but they are getting increasingly expensive. We have been planning some walking tours of towns with several good churches, and we are also thinking of more pop-up events and self-driven tours. Let us know what you think.